Karen Lorraine Gallo, 52, passed away unexpectedly in her home in Longmont on September 9th, 2018. Born on December 25th, 1965 (our sweet Christmas baby), to George Gallo and Sharon Gallo (Grooms) in Middletown, NY, she is survived by her beloved 8-year-old son Zachary Gallo and her sister Leslie J. Gallo and her brothers Gregory C. Gallo and Douglas J. Gallo from Longmont and the Denver Metro area. She is also survived by her uncle, John D. Grooms; her aunt Mary Lou Grooms of Westminster, CO; her nephew Nikolas (Natalie) Gallo and her cousins, Barbara (Jon) Siefkes of Boulder, CO, and Ann (Daniel) Vigil of Fort Lupton, CO.
Karen is predeceased by her mother Sharon, her father George, and her siblings Lisa C. Gallo and Brian D. Gallo. Karen was born in rural NY and grew up with her five older brothers and sisters. Always smart and disciplined, she was accepted to all 10 colleges to which she applied, including all four US military academies. She earned undergraduate and graduate degrees in science and business at the University of Colorado in Boulder. After graduating, she started a new adventure moving to Boston w/ her future husband Jeff. There she started what would become her 27-year career at Lotus/IBM, got her first home in North Reading, MA, and first dog, her beloved Butch. 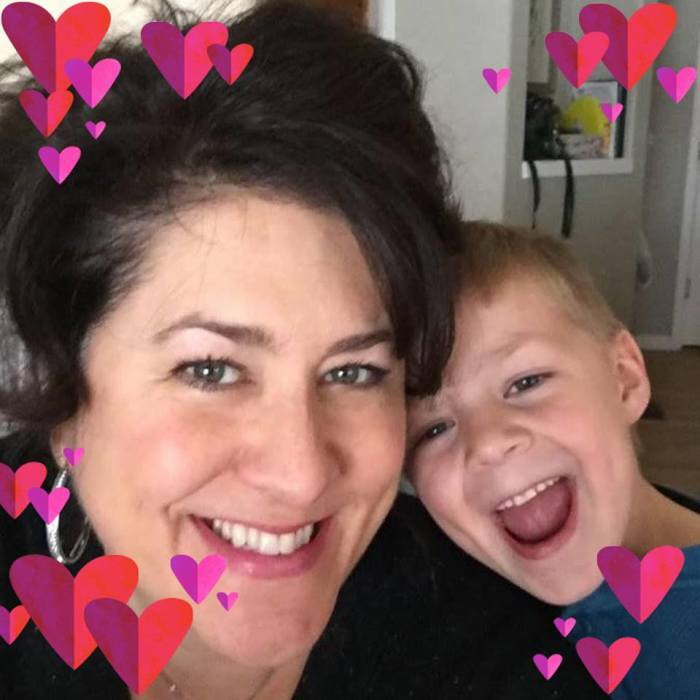 At the age of 44 Karen became a mother to her cherished Zachary and set off to Longmont, Colorado, to begin a new journey to raise her son. Karen's greatest joy and mission in life was raising her son Zachary. He was her world. All of Karen's greatest gifts live on with her son. Zachary is a sweet, loving, smiling, brilliant "little man". Karen gave him her love of education and knowledge, her love of people, animals and the planet. She showed him the value of curiosity, kindness, and empathy. She gave him her beautiful smile and dimples and her joy of laughing at everyday things. Karen was never prideful, but in Zachary she could not help but beam with pride everyday. To her friends and family Karen (aka Mommy, Bay, Lorraine, Brat, and too many others to count) has and will always be a great source of wisdom, strength, beauty and laughter. Her dimpled smile was a gift to all of us. She was a constant source of strength and guidance, truly our greatest cheerleader. She is missed beyond words and nothing seems as bright. But we are left so lucky to have had Karen in our lives. She has given us an example of love, motherhood, laughter, and kindness to which we should all aspire. Please share your memories of Karen on her Tribute Wall.